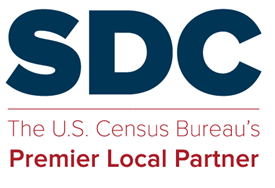 For the last couple decades, AASHTO and US FHWA have sponsored, and US Census Bureau has produced, a collection of special tabulations called Census Transportation Planning (CTPP). The crosstabs in that collection are different from what is in the ACS summary file (ACS base tables). And some of those crosstabs are quite useful. You can get household-size crossed with other variables, commute-mode crossed with other variables, income, etc. In CTPP, the units of analysis have been counties and Census transportation analysis zones (Census-TAZs). But there’s been some tug-of-war over how spatially-detailed are those Census-TAZs. Familiar story: Census Bureau is required to be strict on nondisclosure; very little wiggle room. As more transportation planners have concluded that Census-TAZs are inadequate for forecasting and modeling, the CTPP oversight group has made some decisions about the future of CTPP products. CTPP will continue, but the smallest geographic units, after 2019, will be Block Groups. Bottom line: CTPP may suddenly be a usable resource for fans of Block Groups. This entry was posted in Sharing, Tips and Documentation and tagged ACS, CTPP.